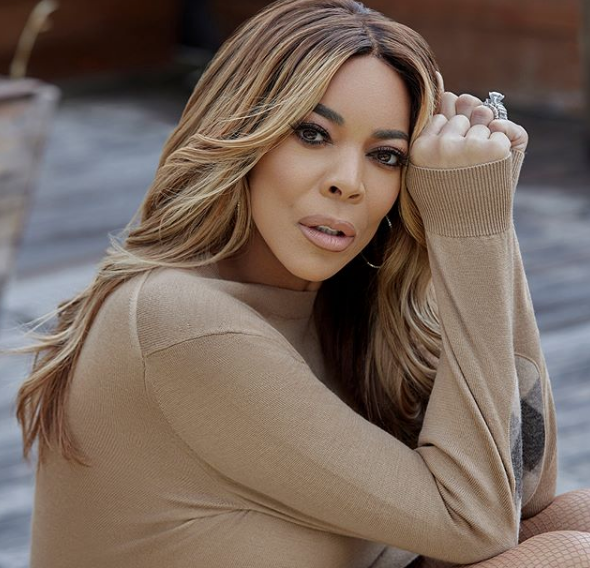 Nine years ago, when her daytime talk show was about to debut, I sat with Wendy Williams as she was getting her hair and makeup done for a run-through and talked about lots of topics. It was the day after Michael Jackson’s funeral so we began by talking about that, which led us to a discussion about Elizabeth Taylor and how Wendy’s mother would send her to buy her Merit cigarettes when Wendy was a child and with the leftover change she’d grab a National Enquirer and devour its gossip – including back then about Taylor and Richard Burton. We also talk about Michael Jackson’s Peter Pan Syndrome and that there also being a psychological concept known as the Wendy Syndrome based on another J.M. Barrie character – which leads us to a discussion of motherhood and her own miscarriages. It’s a lot to pack in to ten minutes. So this Hang Ten runs 11:11 – which is itself a kind of good-luck syndrome for those of us who believe in those things. I get a little dishy at one point so you get to hear how I attempt to navigate a conversation in the mode of the person with whom I’m talking. Not my proudest moment. But you get to hear how the sausage is made. Sorry, Oprah. Sorry, Gayle. Hey, it was nine years ago. I’m a more evolved sober sort now. Sorta.